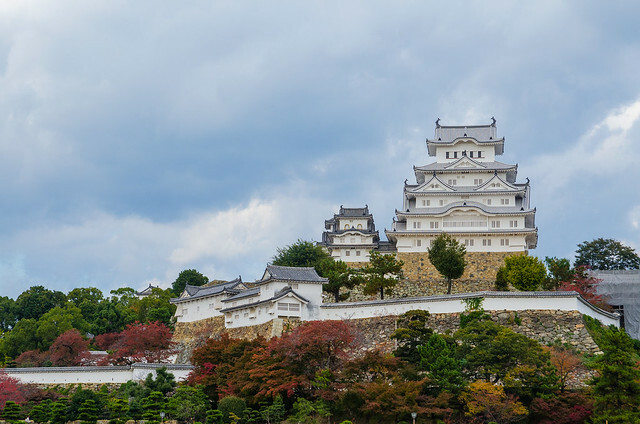 Finally, Himeji Castle was re-opened yesterday for pubic after more than five year renovation. Built in 14th century, Himeji caster was the first site in Japan to be registered as UNESCO World Heritage in 1993. It is also the only world heritage in Hyogo Prefecture. I have been there twice last year. On my second visit in November 2014, the blue sheets were removed revealing the whole structure of the caster, although I could not get inside the castle. The cherry blossom view from the castle must be very beautiful especially during the light-up night. Hopefully I can go there again during the cherry blossom season. It must be very crowded during the season.